One Eternal Day: Murder as a "calming reprieve"
John Dickson Carr's Hag's Nook is an old whodunit: the first of Carr's mysteries with Dr.Gideon Fell as prime inquirer. An amateur lexicographer living outside London with his wife in a modest cottage, Fell is fat and disheveled, blustering and eccentric in manner, and it is said that he is based upon Chesterton, whose Father Brown mysteries Carr admired. 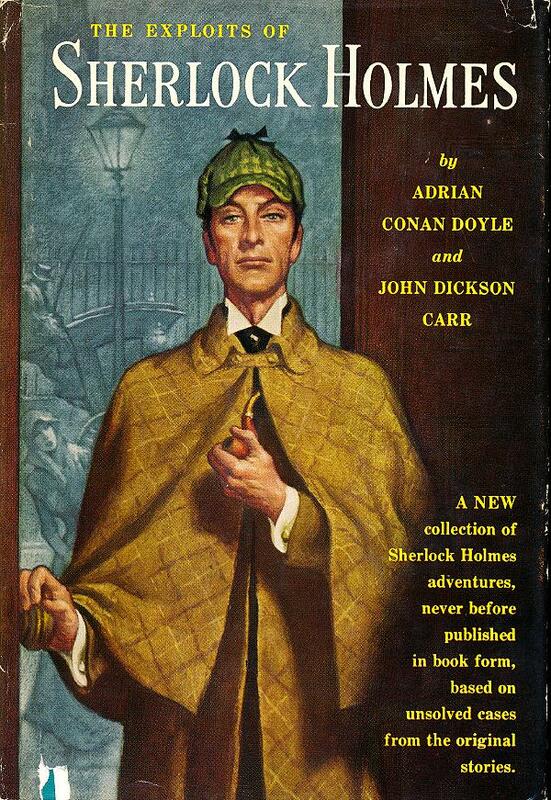 John Dickson Carr also collaborated with Adrian Conan Doyle (son of Arthur Conan Doyle) on The Exploits of Sherlock Holmes based on "unresolved cases" referred to in the original Holmes stories including one titled "The Sealed Room." I've owned a copy of that collection since I was in high school.